Access All Areas members have a great collection of vector flower assets to download this week, courtesy of Freepik. 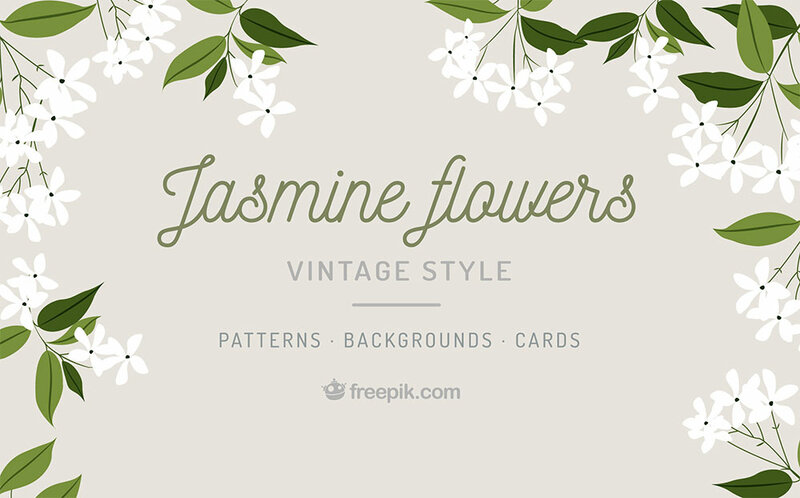 This “Jasmine Flowers” pack contains a variety of patterns, backgrounds and ready-made card designs that can be used to quickly create beautiful floral artwork. Each file comes as an Illustrator AI (and alternative EPS) file, which can be used as a foundation for your design, or broken down to use each vector flower graphic as an individual asset within your custom artwork. This “Jasmine Flowers” pack for Access All Areas contains a total of 18 ready-made card designs featuring a range of colourful floral vectors, along with 4 repeating flower patterns. The assets come in Vector AI and EPS format, which can be scaled to any size, or opened within vector compatible software such as Adobe Illustrator to break the artwork apart into individual elements for custom use. These are pretty! Thanks to you and FreePik!